Earlier this year legendary comic and television star Jerry Seinfeld grabbed $100million from Netflix in exchange for his wildly popular web series Comedians in Cars Getting Coffee and two stand-up specials. Â The first of those was released a couple of days ago. Me being a massive fan of both Seinfeld the television show and the comedian I had to check this out right away. The show is titled Jerry Before Seinfeld and is billed as an intimate behind the scenes look at Jerry before he became the man who revolutionized the sitcom. Â It takes place at a packed house in The Comic Strip, which was the club that he and many other nowÂ world-famous comedians got their start back in the 70s. Â We open with some footage of Jerry and New York during the early part of his career narrated by Seinfeld himself, before jumping right into the live standup. Throughout the special similar footage is interwoven. Some of the video from professional gigs and others from the Seinfeld home movie archives. We soon find out, though, that the most autobiographical comedian of all time still has a real difficulty telling you much of anything personal. For a guy who ran a television show with a self-titled character that paralleledÂ part of his life, who’s been performing standup for 40 years, and who’s later life effort is a behind the scenes show with comics he’s friendly with we know so little about the man. During this special instead of telling you much about himself personally, he runs through his classic bits that illustrate the time period in his life he’s highlighting at that moment. I can’t say that I’m disappointed, though, because with Seinfeld it’s always been about the material. Even in one of his more candid moments he admits he never goes out and wants people to like HIM he really just desires to see if his thoughts, ideas, and jokes work with people. They sure do. After all these years, Jerry Seinfeld’s best hits are delivered with the precision of a skilled craftsman. His plays on linguistics and syntax never get old to me. Â In a portion where he comments that we go “into” the city but “on” Long Island- we get “on/off” a train but “in/out” of a cab; with the update that we “take” an uber because “there’s no money! What is it for free? I don’t even know how it works” I just couldn’t stop laughing. Other highlights from the show discuss Jerry’s childhood and what it was like for him growing up. Â Which was less about him the kid growing up and more the landscape of the 60s in which that growing up tookÂ place.Â Comparing kids relationships to their parents that of a homeowner and their raccoon. Â They know they are there, they show up at night, and that’s really all that matters. Â How there were no harnesses and no nutrition. Â He remarked that as a kid he was either “eating 100% sugar or being propelled through the air”. He dives into parents dealing with the attitudes and behaviors of young kids and even the potentially tired topic of men vs women, but with Seinfeld it just all works. 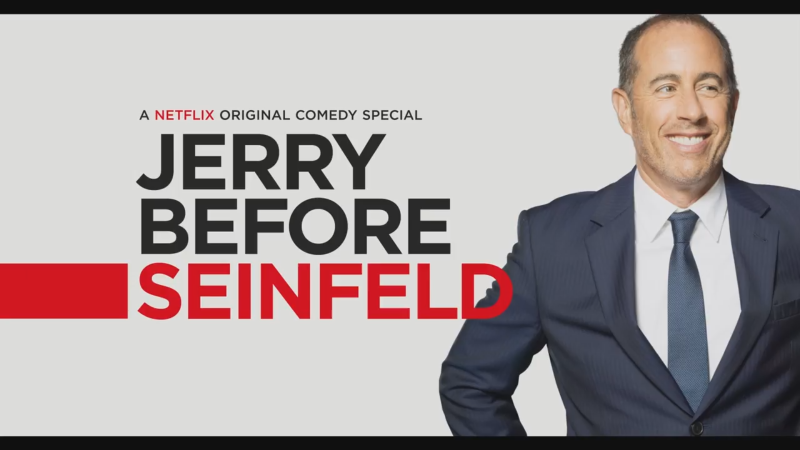 Â Jerry Seinfeld is simply a 63-year-old joke machine which in this special shows no signs of rust or mechanical failure. He’s a brilliant comedian who’s stories, observations, and wordplay has entertained me my whole life. Â Now that he’s back earning a big paycheck I’m really excited to see what he creates during this stage of his illustrious career.